By the creator of Dork Diaries! 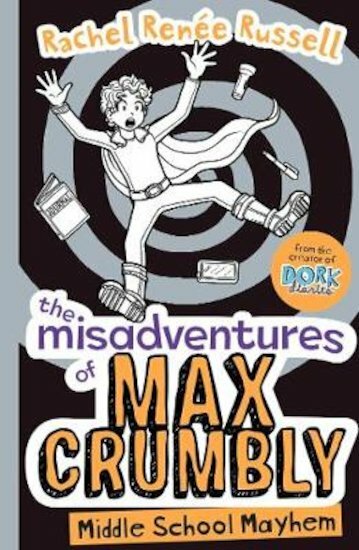 Can dorky hero Max ace middle school and find power in geekdom? When we last left our hero, Max Crumbly, he’d crash-landed on top of a Mighty Meat Monster pizza after taking a late-night tumble through the roof at South Ridge Middle School. Even worse, he was completely surrounded by three ruthless criminals. And he still IS! Eeek! Will Max be shredded like mozzarella cheese on the crunchy pizza crust of doom? Can his trusty sidekick, computer whiz Erin, get him out of this sticky situation alive? And will Max end up being the hero we totally know he is? All is revealed in this book… but don’t forget your napkin!